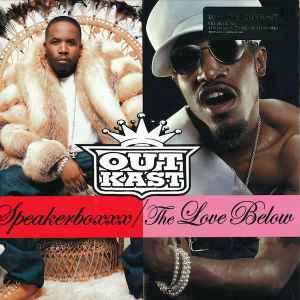 A double album, sides A through D are Big Boi's album, Speakerboxxx while sides E through H are André 3000's album, the Love Below. H2 "My Favorite Things" is not listed on the sleeve, only on the label. 180 Gram audiophile pressing, Gatefold sleeve.